Virginia players celebrate after defeating Texas Tech 85-77 in the championship game of the Final Four NCAA college basketball tournament, Monday, April 8, 2019, in Minneapolis. Society continues to grapple with such seemingly insurmountable problems as poverty, sexism as highlighted in the “Me Too” movement, racism and various phobias that exacerbate separatism. Examples of these problems abound, such as the continuing debate over immigration, unrest in the Middle East, tensions over international alliances, challenges to free speech and press and, particularly in the United States, recurring incidents demonstrating our conundrum with race. Most symbolic of the latter must be the white nationalists’ 2017 demonstrations and the resulting melee in Charlottesville. Even the recent college admissions scandal demonstrates that colleges and universities suffer from the tensions of a hyper-competitive world. As my previous writings in Forbes have espoused, these seemingly pervasive examples of incivility, discord, and corrosive rhetoric aggregate societal divisions. UVA’s triumph and the March Madness, in general, provide a mental reprieve from our societal problems. Fans become united in the common cause of rooting for their colleges of choice and witness athletes of various ethnicities and backgrounds playing together to achieve the goal of a win. I marvel particularly at UVA’s ethnically and geographically diverse team of student-athletes. Their now legendary coach, Tony Bennett, has instilled in them an appreciation for the rudiments of the game as well as the humanistic values of unity, teamwork, respect, and civility—all elements of professionalism that is required in any thriving society. The cathartic image of diverse individuals cheering and hugging at the conclusion of a game that required talent, perseverance and unity signals hope for a discordant world. March Madness and sports, in general, have the capacity to coalesce interests and break down barriers. When that happens, people can learn from one another and, thereby, demonstrate Dr. Maya Angelou’s sage observation that our commonalities are greater than our differences. Like sports, the arts function to focus attention on unity and the universality of the human spirit. Unlike sports, however, the arts now suffer from a lack of support and have been disturbingly deemphasized in educational institutions. Educators must take stock of the arts’ residual values given the societal problems we now face. Now that March Madness has concluded, athletes, students, and fans of the game will no doubt return to their routines. 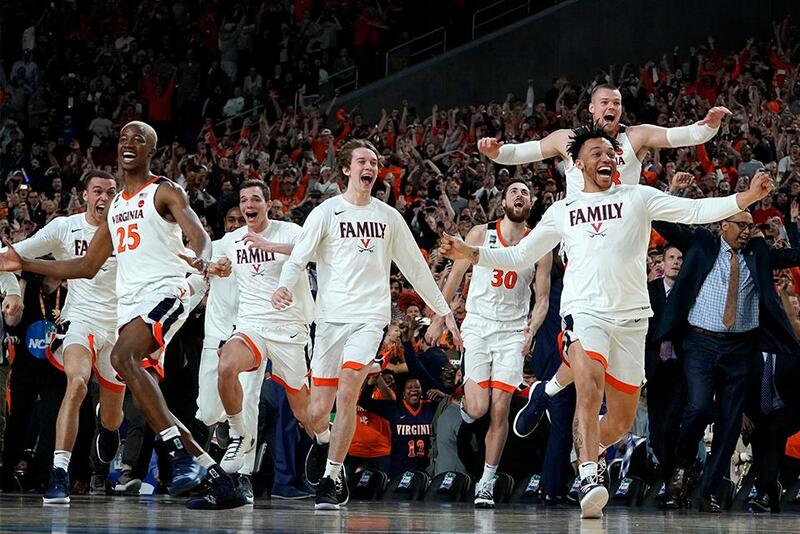 Hope remains, however, that the image of a classy UVA team of diverse players succeeding on the basketball court will become embedded in our collective consciousness. If it does, perhaps the team’s victory with its tangential lessons of unity and civility will inspire positive, societal change. Our spirits merit such a boost.